The streets are paved. The driveway is cement. The lawn is grass (and beautiful this year, thanks to a generous balance of rain and sun). The beds are mulched. The patio is brick. The kids have long since graduated from a sandbox. There’s barely any visible dirt on our property, much less gravel, sand, or rocks. This farmer’s daughter grew up on a dirt road with a gravel lane and a tractor tire sandbox. But today? None of that. So I went back inside and studied our home decor. 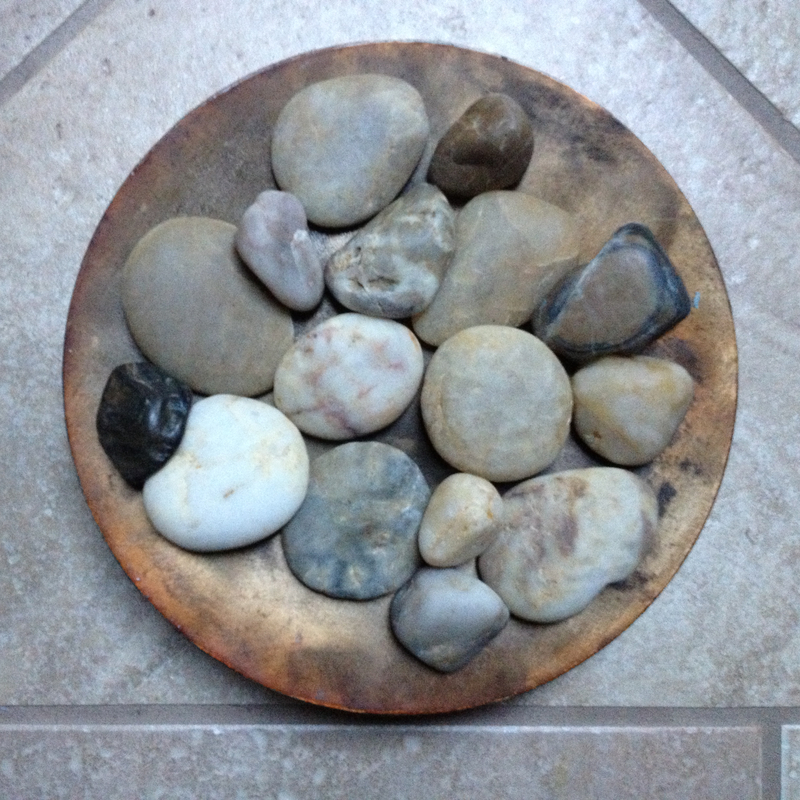 Sure enough, in my bathroom, at the edge of the tub, a ball candle rested on a tray of smooth stones. This will have to do.